Wow! 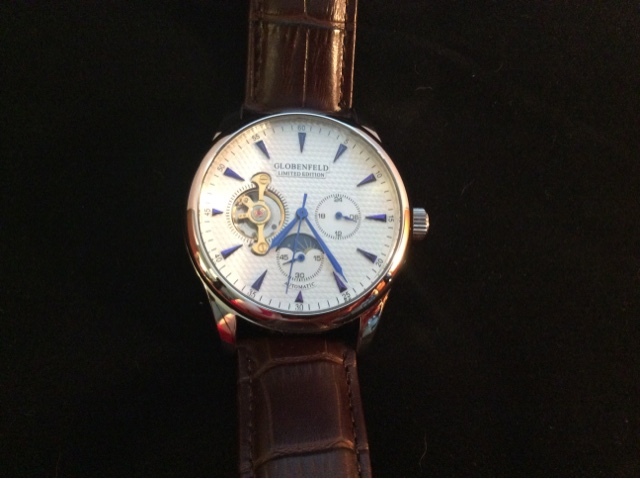 This Globenfield automatic watch looks and feels so much more expensive than it is - the quality is absolutely outstanding. As soon as the parcel arrived (quickly and well packaged) we were impressed by the presentation. 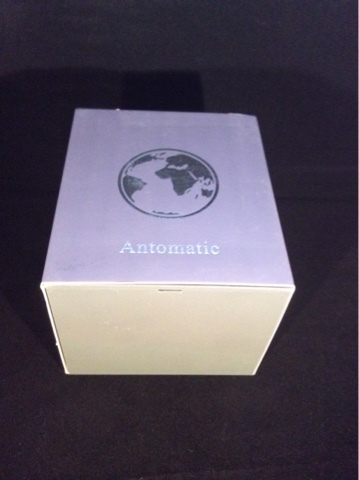 The watch comes in a lovely box which is wrapped in a cardboard sleeve. The box looks impressive and makes this watch an ideal gift for the special man in your life. 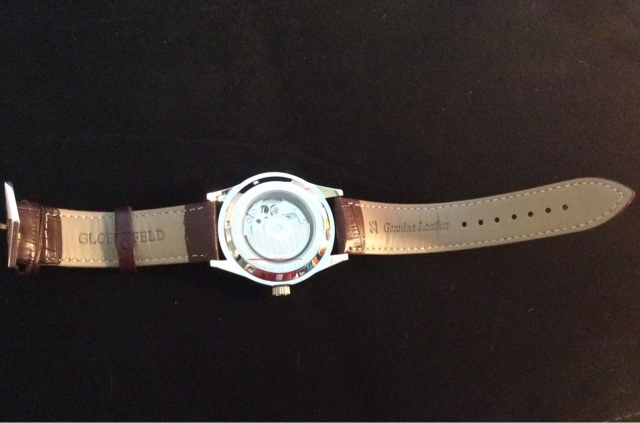 The watch is lightweight and comfortable to wear. I have quite large wrists and not all watches fit me well, but this watch wasn't tight at all - equally it would also fit much smaller wrists as it could be tightened by several notches. The straps are thick and made very well, they would definitely last years before they became worn and needed replacing. The stitching and workmanship of the leather is top rate. The watch face itself is exquisite. The dials and other details all look fantastic and work together well. Unlike some watches, it's not cluttered up with pointless decoration - it's clean, clear and super stylish. It's easy to see at a glance exactly what time it is as the hands and time markings are clear to see. It really does look great on your wrist - it's a watch anyone would be proud to wear. Even the back of the watch looks great! You can see the works inside the watch through the window at the back of the watch which is a nice added feature. It's fascinating to see how everything inside the watch works and moves. I've heard people say that automatic watches aren't accurate, but this one certainly is! I've been wearing it for a few weeks now, and it's not lost or gained any time. 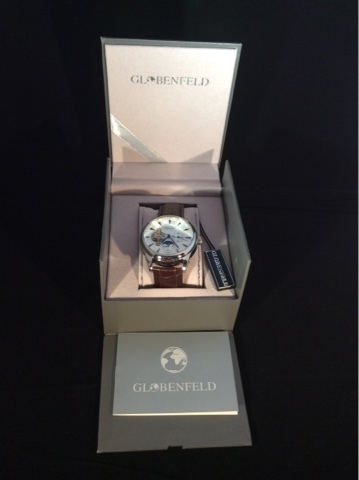 Globenfield offers an amazing Platinum 5 year warranty with this watch, which shows you how confident they are in it's quality, accuracy and overall performance. 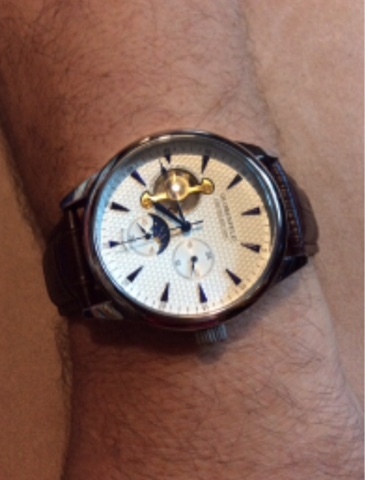 This watch is of extremely high quality and is very stylish - it's by far the best watch that I've ever owned. I wholeheartedly recommend it to everyone.